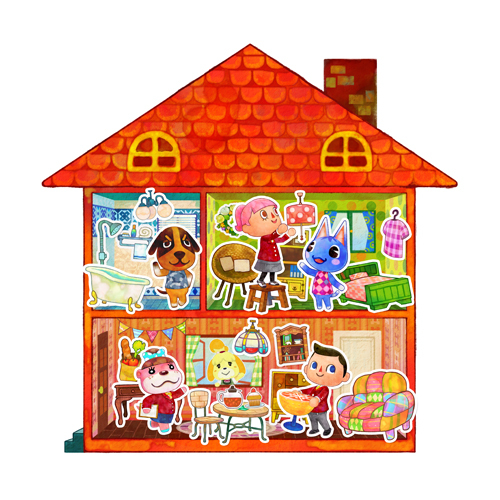 Animal Crossing – Happy Home Designer - Reclusive Fox ""
I’ve been a little quiet here of late, for good reason. I have a few things going on in the background that I’ll go into at a later date but most recently I’ve been busy being an interior designer…Okay, not a ‘real’ one but as soon as I pop open my 3DS I’ve been getting straight to work, designing the homes of my wonderful animal village friends as well as making some very important improvements to our little town. What am I talking about? Animal Crossing Happy Home Designer of course! 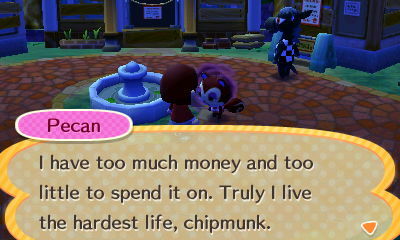 Life is sometimes hard for the village animals…Poor Pecan. One of the reasons I love AC is simply because it is an escape, it makes me feel happy, cosy and chilled out. When you have panic in your life AC makes it a little bit easier to cope. So when I turned on my 3DS and headed into the game an instant feeling of happiness and calm washed over me. It’s the sounds, the visuals, it’s just a warm and loving place where even the grumpy folk are loveable. 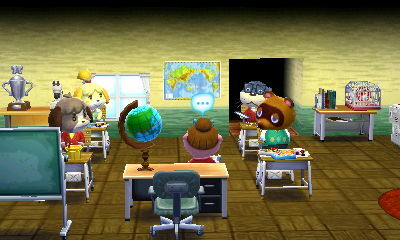 You’re starting your first day working for Nook over at Nook’s Homes and you’re given a task to decorate a room to see how you get on. You have limited stuff to work with but more than I was expecting and basically I don’t think it is possible to go wrong. So, yay! You do great and you start working for other clients and within an hour or so of play time you begin working on improving the town itself, hey, we’re naturals at this interior design stuff. You get given loads of new items, some you’ll recognise and some you won’t. I love all the added touches you can add, and the ability to add lighting, change windows, curtains, add sounds, you name it! Just make sure you study the handbook to unlock all the features. Right, I think it’s important to say this isn’t a full AC game, it’s like a really cool add-on but it’s well worth paying out for. You can’t dig, fish, catch bugs, shop, go for coffee or any of that other fine stuff. If you could then this would be a top notch title. You’re not working in ‘real time’ and you won’t miss any events if you forget to check in one day. Then the other downside is you can’t invite your mates over or go and play games with them over on their island. These things are missed greatly. Another peeve of mine is that you can’t create multiple accounts, why is that?! With that said, it is a delightful addition to the franchise and one that has sucked me happily in. The addiction level isn’t quite as high as it is in New Leaf, it’s quite subtle and for that reason it’s a great game to pick up while you’re sat on the train. You can design a home for a wondering neighbour outside of you’re in a hurry or design a new facility for the town if you have a bit more time. You do have the option to go and visit the people you’ve designed homes for. While you’re there, or visiting the shops or public buildings you can pick characters to change their clothing and have a quick chat. The NFC reader works really well but you can play the game without it if you don’t want to spend out on the cards or have the older 3DS like I do and don’t buy the NFC reader. If you do use the amiibo cards you can invite the characters you get in the pack over to your town. I think they may pop over eventually anyway, but the cards just guarantee that you can play with them. If you’re an Animal Crossing fan you’re going to love it and it’s a must-have for your collection. If you have young children then this is a title that isn’t challenging to play and is great for using your imagination and being creative. If you have stress and like to find ways of relaxing then I recommend this game to you too. 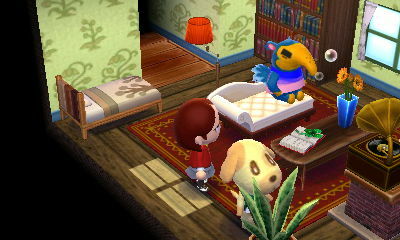 If you played AC in the past and didn’t enjoy collecting the furniture and designing your home then I would perhaps skip this title or wait until you can find someone selling it cheap (ah Nintendo, why don’t you ever bring down the prices of your games?). For me, Animal Crossing Happy Home Designer is a winner. What games are you playing at the minute? It looks a bright colourful easy to play game.